This quote stuck me as I browsed through Gypsy05’s Instagram earlier today. 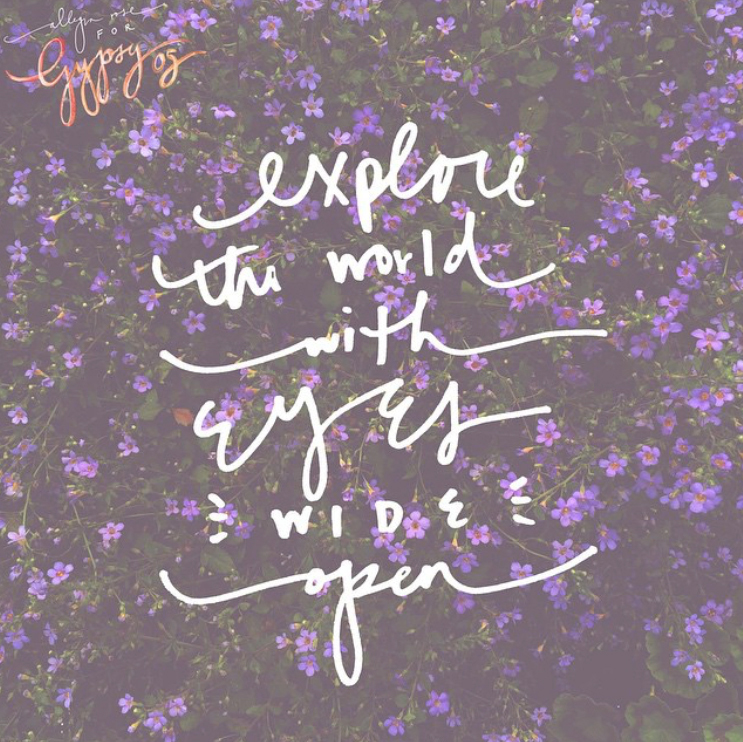 What does it mean to explore with eyes wide open? I’ve been thinking about this concept, and imagining how it applies to my life and longing desire to travel the world and experience different cultures. When I envision wandering foreign lands in this way, I think back to Tulum and an inclination to live in the moment. Experience the present. When you’re traveling for work, and have assignments and shoots to plan along the way, taking a chance to simply hope the day unfolds into an ideal photo shoot situation can create an extreme amount of stress. I learned to go with the flow and plan outfits in the moment depending on what we would stumble upon during our journey. Luckily, I had Clint with me every step of the way to translate any location into a dreamscape for the blog. With open eyes I noticed every little detail of our surroundings as I scanned for the perfect backdrop. This, coupled with the desire to take each moment one step at a time constructed a unique travel experience and view of the world that I will forever treasure. Now that I’m back home, and it’s business as usual, I keep reminding myself of the beauty of taking life in slowly, with every passing moment. To wander the world with an open mind and soul is all I truly ever want. Thank you Gypsy05 for the major inspiration (and of course for this beautiful bikini). Posted in the wild & free blog and tagged clint robert photography, corina brown, gypsy05, wild and free blog, wildandfreejewelry. Bookmark the permalink.